William L. Ballenger: Bio & Choral Music | Santa Barbara Music Publishing, Inc.
William L. Ballenger has served as Director of the School of Music at Texas Tech University since fall 2004. Prior to his appointment at Texas Tech, he served for twelve years as Department Head of Music at Oklahoma State University. Professor Ballenger’s previous academic appointments include Associate Director of Bands at Oklahoma State University, Associate Director of Bands at the University of Nebraska-Lincoln, and public school teaching positions in Ankeny and Oskaloosa school districts in Iowa. Professor Ballenger has composed more than seventy-five original compositions and arranged more than six hundred works for various ensembles. In 2010 Professor Ballenger was elected President-elect of the Texas Association of Music Schools (TAMS). Previous appointments include TAMS Director of the four-year state-supported schools (2009). 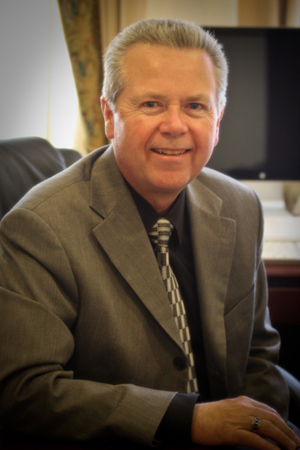 Professor Ballenger remains active in the National Association of Schools of Music (NASM). In 2010 he was appointed to serve on the Nominating Committee of NASM. Previous NASM appointments include Chair and Vice Chair of Region 9, Chair of the Ethics Committee, and member of the Nominating Committee. Professor Ballenger serves as an on-site evaluator for institutional NASM accreditation reviews. William L. Ballenger has 2 titles published with Santa Barbara.